The genus Amorphophallus contains some of the most astounding floral inflorescences in the plant kingdom, and also some of the smelliest! 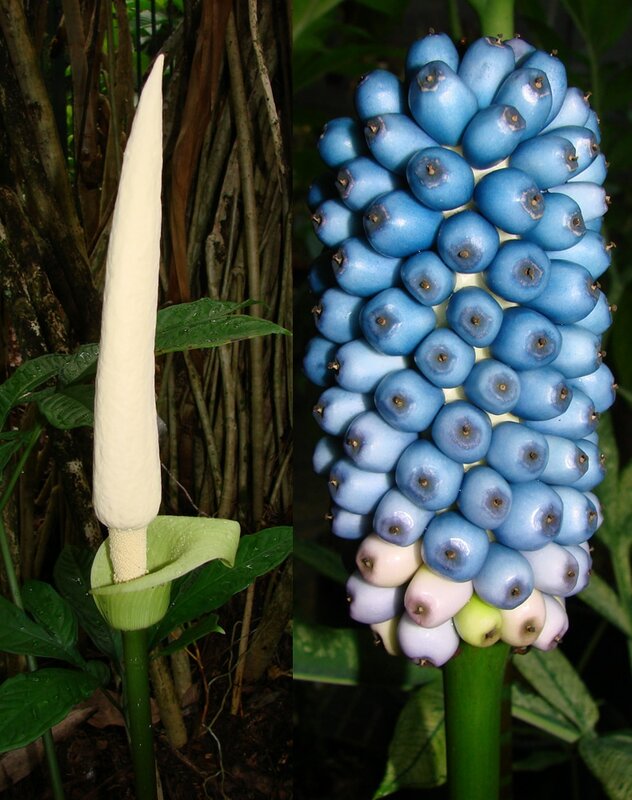 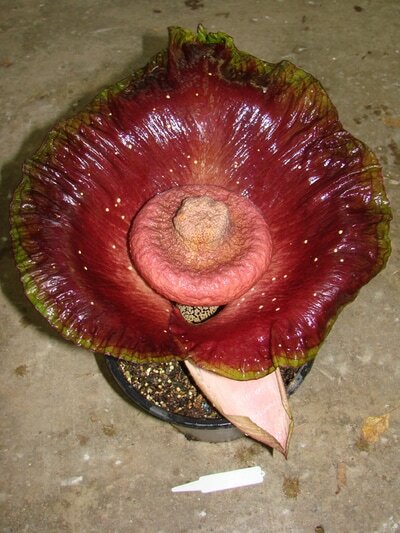 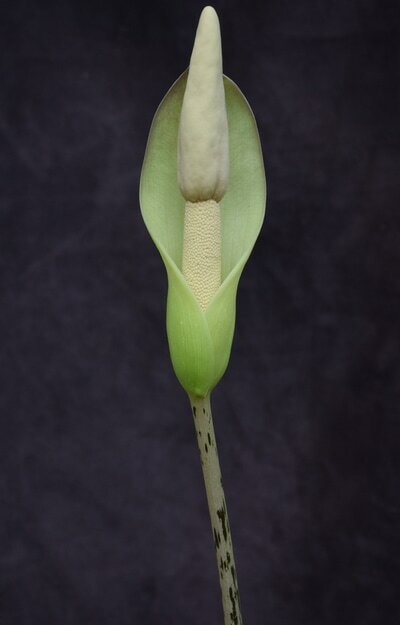 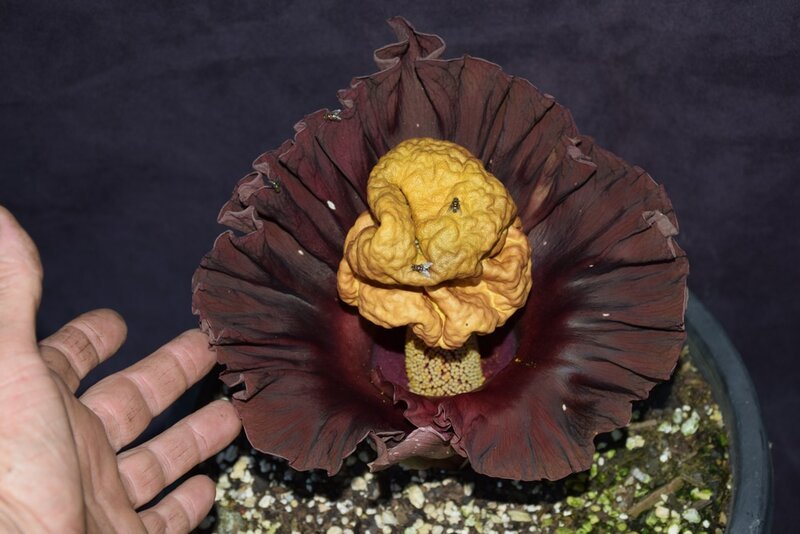 From the massive three metre inflorescence of the Titan Arum to the tiny Amorphophallus pusillus, this genus is gaining huge popularity among plant collectors world wide. Amorphophallus are commonly known as Carrion Lilies, this is because the majority of them release pungent odours to attract pollinators to the receptive flowers. 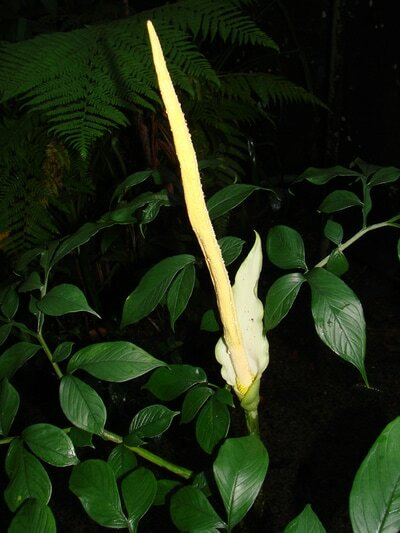 Not all the odours are obnoxious, for example, Amorphophallus haematospadix produces a pleasant fruity scent and Amorphophallus natolii has a scent much like freshly cut wood. 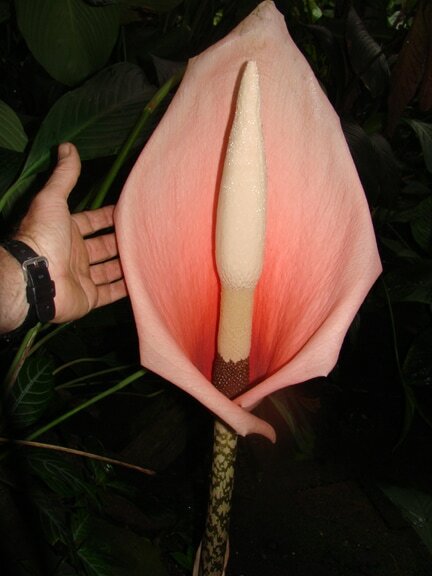 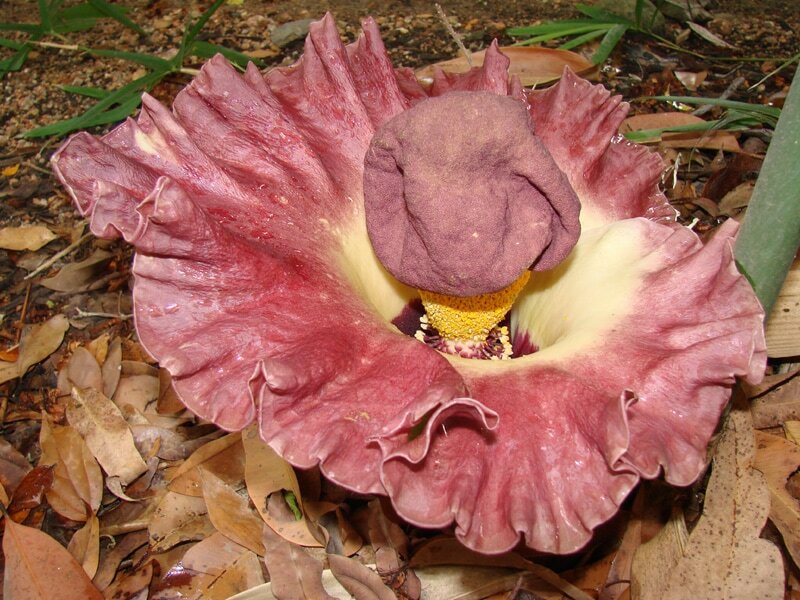 Amorphophallus are mostly all deciduous, that is the plant will have a dormant period, usually during the winter. Approaching this period the leaf will die back and the roots wither leaving the underground tuber to rest until it re-shoots toward spring. 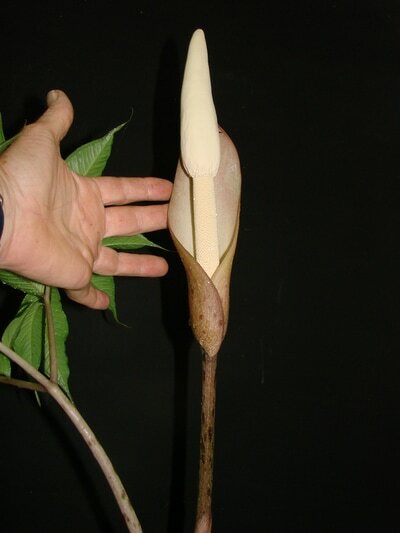 Depending on the size and age of the tuber it will either produce an inflorescence or another leaf. Some tubers can be quite large, the Titan Arum tuber can weigh 100 KG! 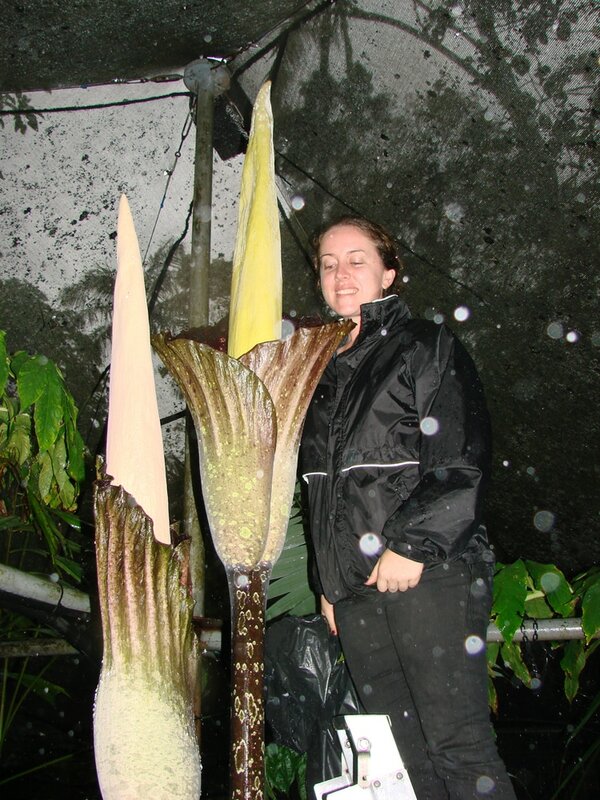 When selecting species to grow, keep in mind the size of the plant and your available growing structure. 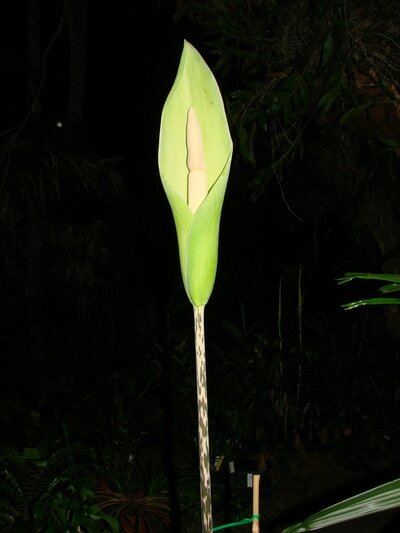 The leaf stage of the majority grow under 2 metres, but Amorphophallus decus-silvae and Amorphophallus gigas grow over 3.5 metres high and the Titan Arum up to 6 metres in height! 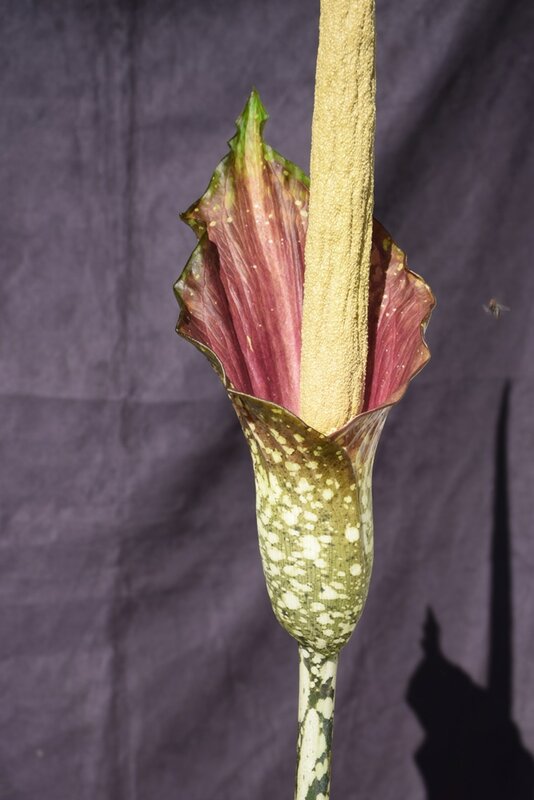 I cultivate over 60 species of Amorphophallus, these are available for sale during the cooler months around May to October. 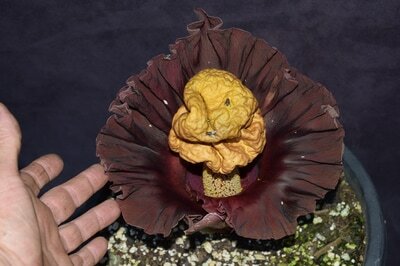 Click on the logo to see what I have for sale this week! 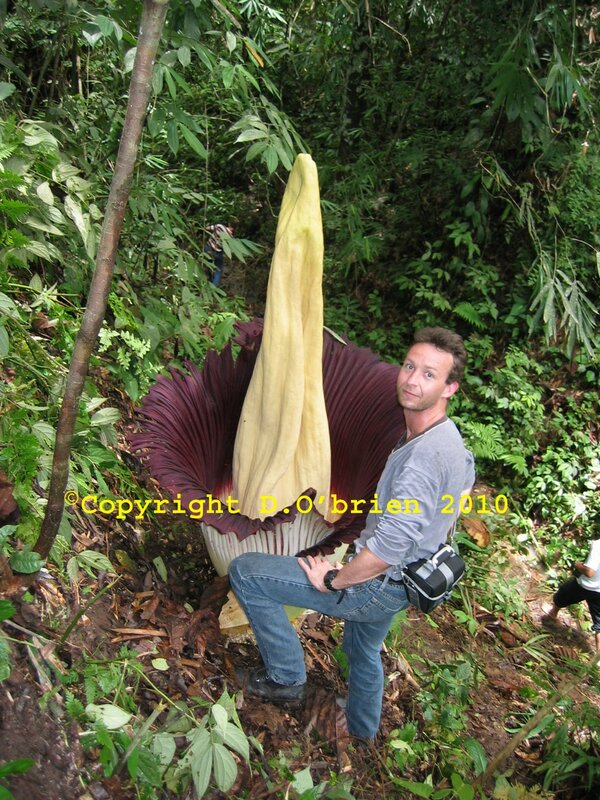 Please note that all photographs are Copyright © 2013. You must not use any of my material on this website until you contact me.